On my nights out at Clarke Quay, I’ve always walked past Swissôtel Merchant Court. I mean, I even call it “the hotel at Clarke Quay” even though there are plenty of others around the area – that’s how iconic it is to me. So after the latest refurbishment that was completed in November 2016, I decided to take a look at the hotel’s new rooms and facilities. After a quick check-in process at the reception desk, I was led to the lifts that would bring me to the 11th floor, where I was staying in the Swiss Executive Room. 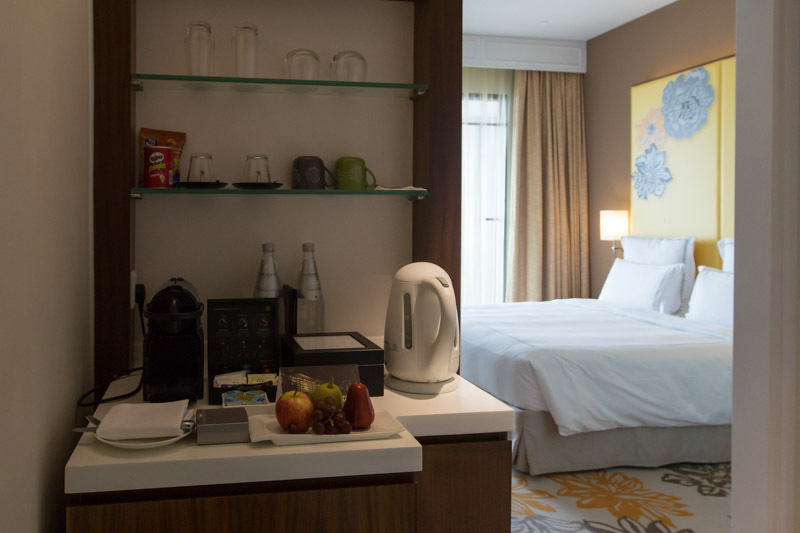 The door opened into an antechamber that connected the washroom with the bedroom, and I was super excited to see the Nespresso machine and capsules; definitely a step up from the 3-in-1 instant coffee mix that other hotels usually provide. The washroom was also spacious, and I know it makes me sound narcissistic, but I really thought the angled mirrors were a good idea, as confirmed by my female friend when she was doing her makeup. 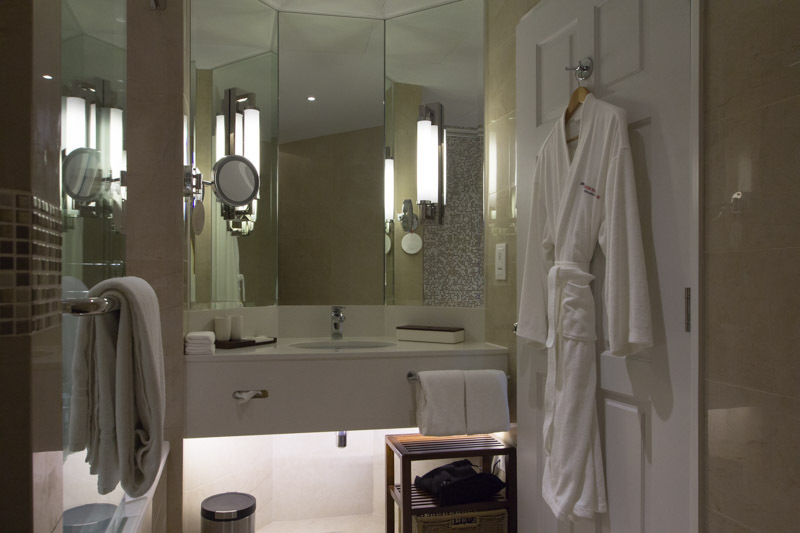 A full set of amenities was provided as well, and I particularly liked the bath products that are from Swissôtel’s own Purovel brand, made with ingredients from Switzerland. The main room was spacious, and I went with the choice of a king-sized bed so that I could roll around in comfort. 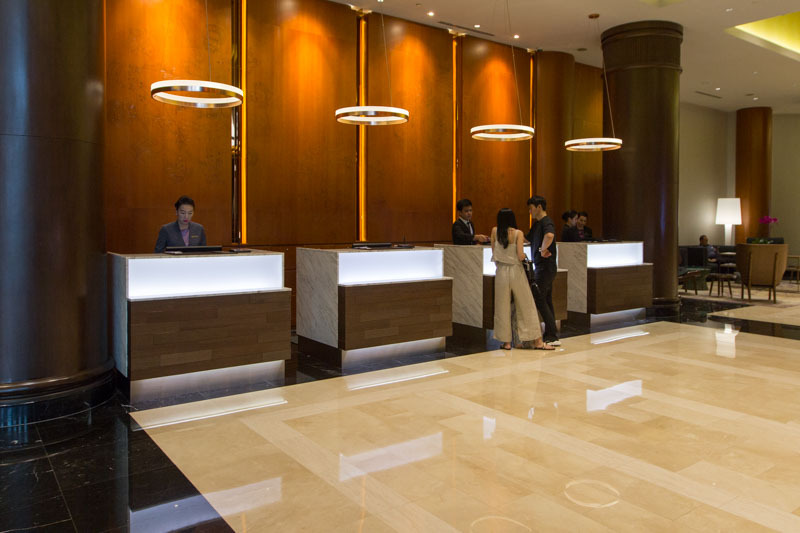 There’s an elegant work desk with stationery, and a Handy smartphone that foreign travellers can utilise if they require internet on the go. It was a pretty hot day, so off I went to the pool, and I thought it was gorgeous. It reminded me of something I would see at a resort, not in the middle of a hotel in the city. There’s even a water slide for those who are still kids at heart, so go ahead and splash around! 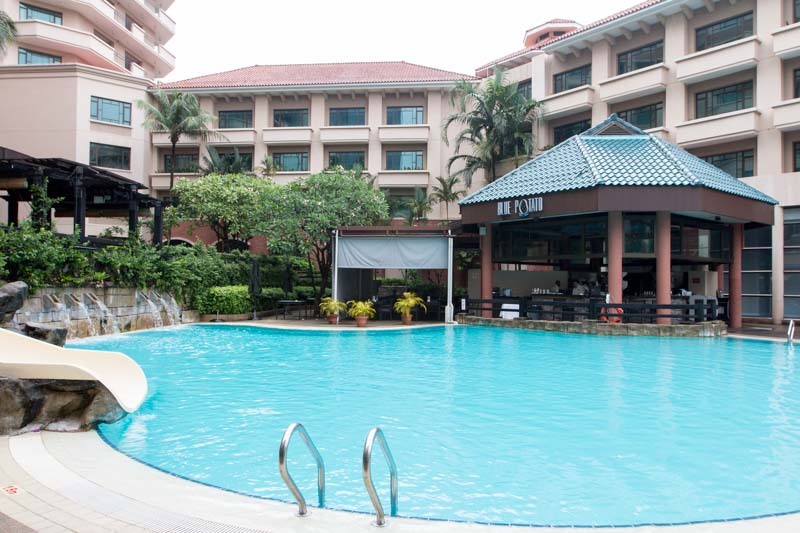 For those who would rather just lounge in the water, chill out at the outdoor jacuzzi area before heading over to Blue Potato for a nice cold drink. 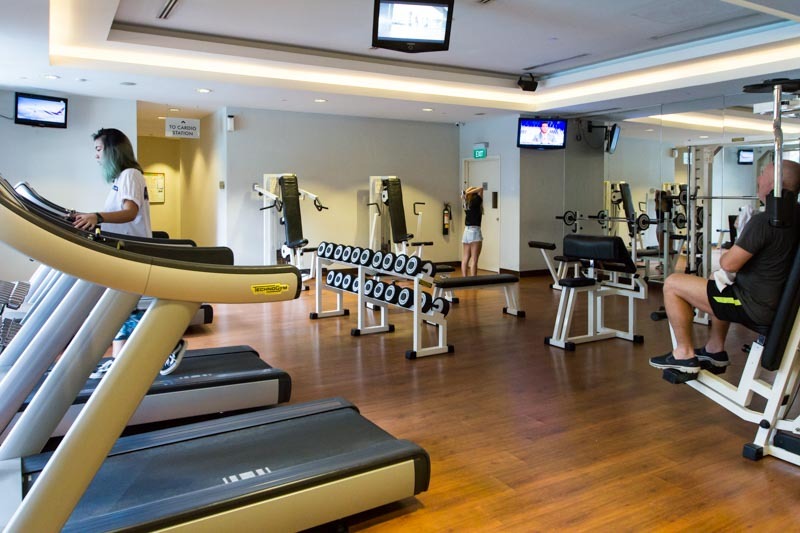 If you’re looking for a more exerting workout, there’s a well-equipped Fitness Centre right beside the pool at Purovel Spa & Sport. The first room you enter has a nice mix of treadmills and weight machines, but walk further in and you’ll find dedicated weight and cardio rooms. I found the first room the nicest though, thanks to the additional space and natural light filtering in from the windows. 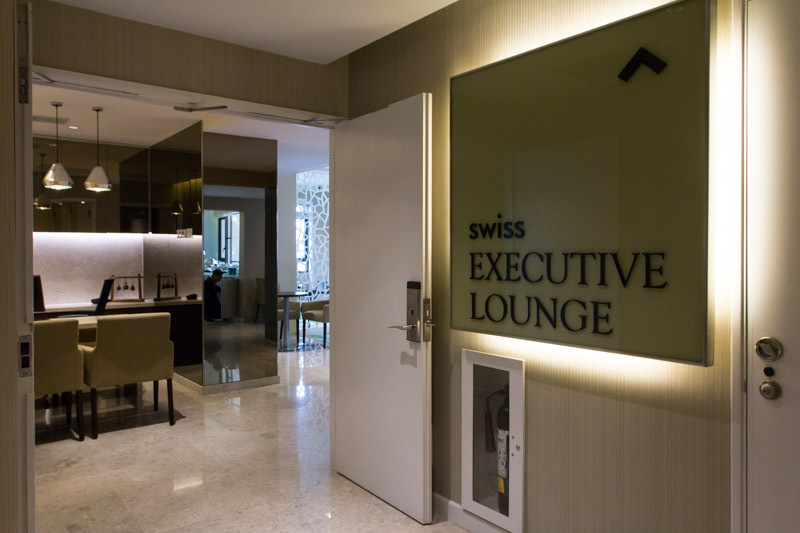 If you’re bored of your room or the hotel facilities but don’t want to leave the hotel, guests staying in the Executive rooms or suites can relax at the Swiss Executive Lounge on the 11th floor. 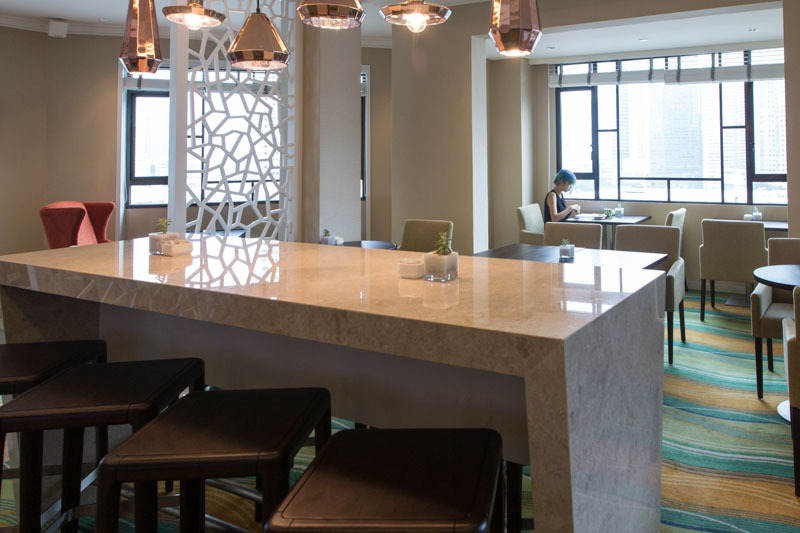 The lounge offers a quiet, cosy place for guests to relax with a cup of coffee and snacks, or even to unwind with a few drinks in the evening before heading out for dinner. The service staff were extremely attentive, offering me a choice between coffee, tea or other soft drinks once I stepped in. 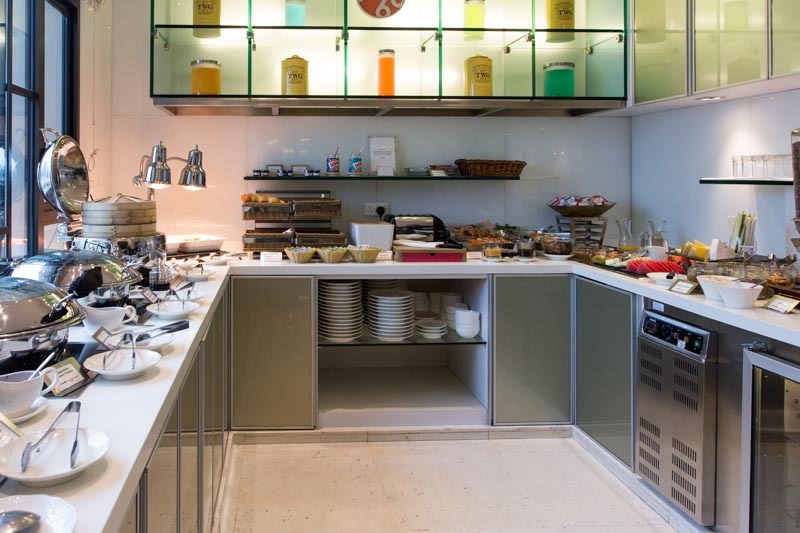 Complimentary breakfast is also served here for guests staying in Executive rooms, and it’s actually quite a spread. With stuff like dim sum, different types of cereal, eggs and more, there’s something to please everyone. 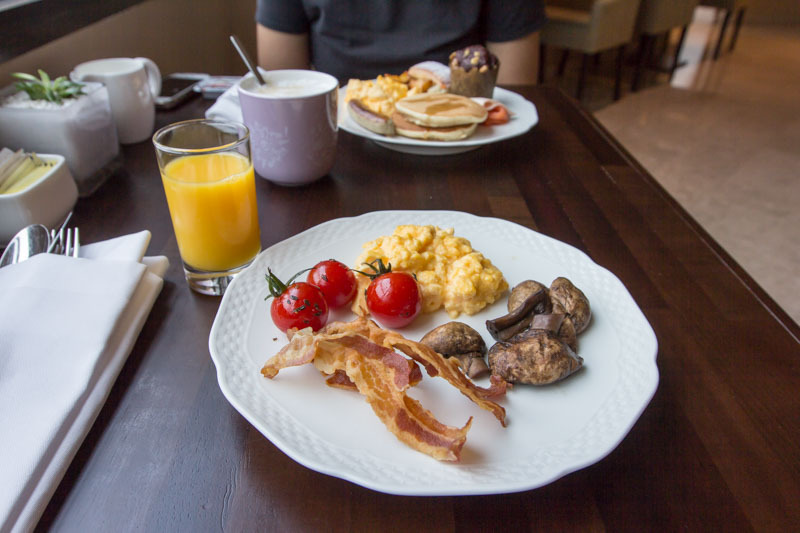 I tried the scrambled eggs, roasted tomatoes, bacon and roasted mushrooms, and I was very satisfied with the quality of the food. The eggs were scrambled perfectly, and the tomatoes were juicy and added freshness in contrast to the saltiness of the bacon. 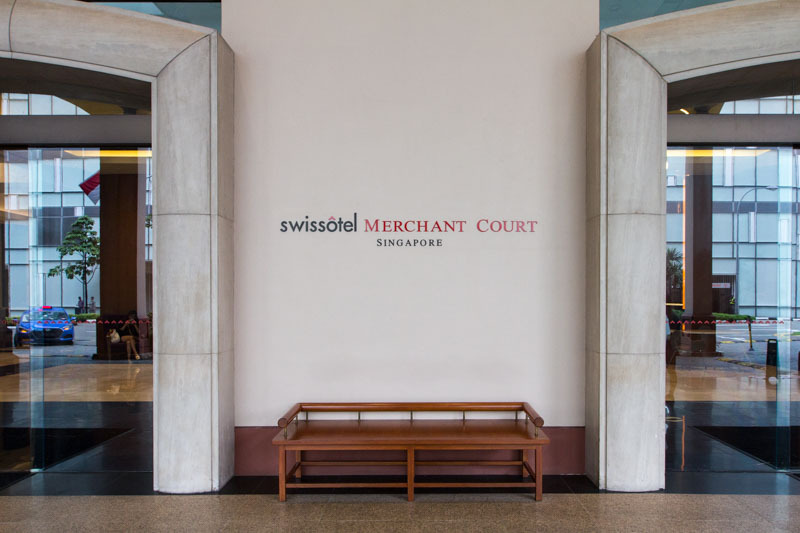 With its convenient location and excellent service, Swissôtel Merchant Court is definitely on my list of hotels for a luxurious staycation in Singapore. 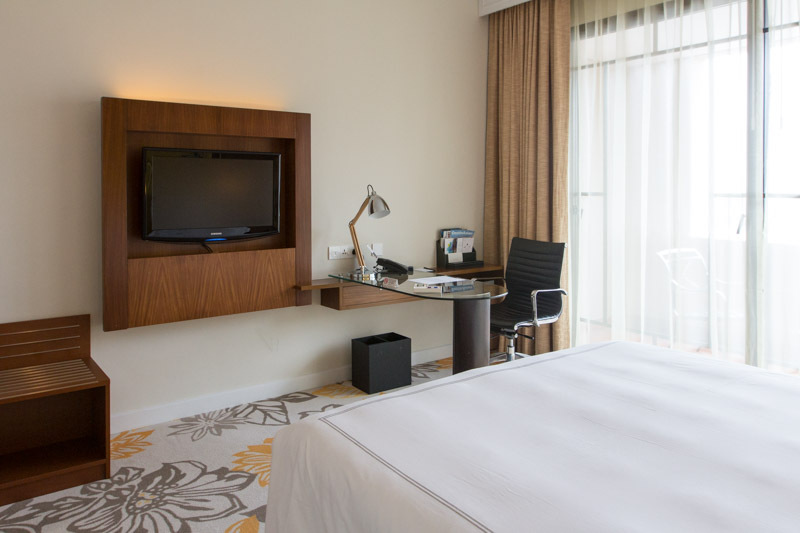 If you do a bit of clever planning, a 2D1N stay at the Swiss Executive Room could be available from just $255! Now that’s value for money.